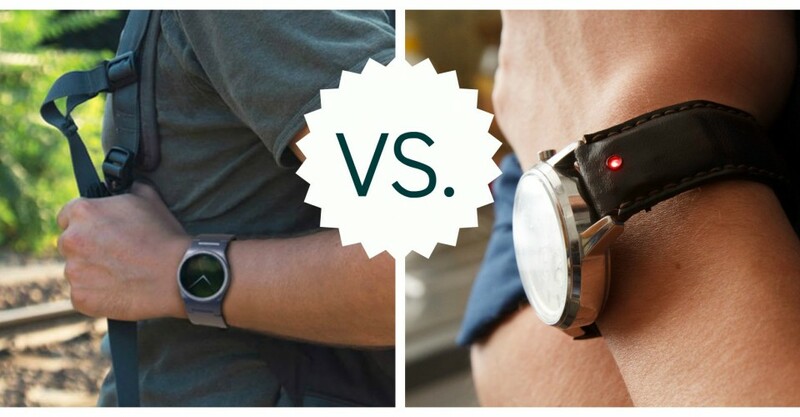 Despite the fact that I love all things tech, I don’t know if I ever become an adopter of smartwatches. Another smart device will just make it impossible to disconnect, or miss messages and calls. And I’m really curious about the feedback from the readers of this blog who own a smartwatch: did it become one of the staples in your gadget inventory? In any case, the crowdfunding success of Pebble Time smartwatch is contagious: it’s the top funded campaign in the history of Kickstarter with over $20 million pledged by more than 78,000 backers. So, please meet Unique and BLOCKS, two smartwatch projects crowdfunded on Kickstarter. Both of them have at least one co-founder from Eastern Europe. Unique is actually not a smartwatch in its “traditional” sense, but it’s a smart leather strap packed with sensors which make any old-school watch a smart one: the customer just has to replace the old straps with Unique ones. The startup from Poland pledged $50K and in the last 30 hours of the campaign they reached the goal with more than 230 backers. It is a London-based startup co-founded two years ago by Serge Didenko from Ukraine and Alireza Tahmasebzadeh from Iran. They met while studying at the Imperial College of London while doing their PhD programs in Bioengineering. The BLOCKS smartwatch consists of a Core, which is the watchface with basic smartwatch features, and a strap assembled from modules, each responsible for a particular feature. 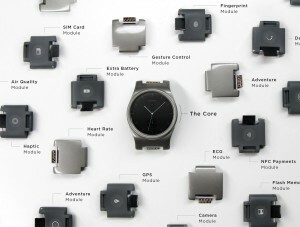 The idea behind BLOCKS is that the customer can assemble his smartwatch with the functions he needs by swapping in-and-out modules in the strap. Extra battery module (device life +20%). And there is a whole range of planned BLOCKS modules, including SIM-card module for answering to messages and emails with voice, fingerprint module for authentication, LED module for lightening your way. The startup envisions to go even further, by offering in the future modules for Air Quality module, Camera, Stress Levels and Body temperature. The startup already has solid partnership agreements. Their smartwatch uses Qualcomm’s processors and will be manufactured by the Taiwanese Compal Electronics. The beauty of BLOCKS is that you can change modules on the go, no need to restart your watch. Going to the gym? Connect the heart rate module. No access to the plug? Add the Extra-Battery one. The standard BLOCKS set (the Core plus 4 modules) is priced at $285. Sell BLOCKS with a beautiful and functional case for the Modules, so that the unused modules are securely stored and don’t get lost among other stuff in the purse or backpack.